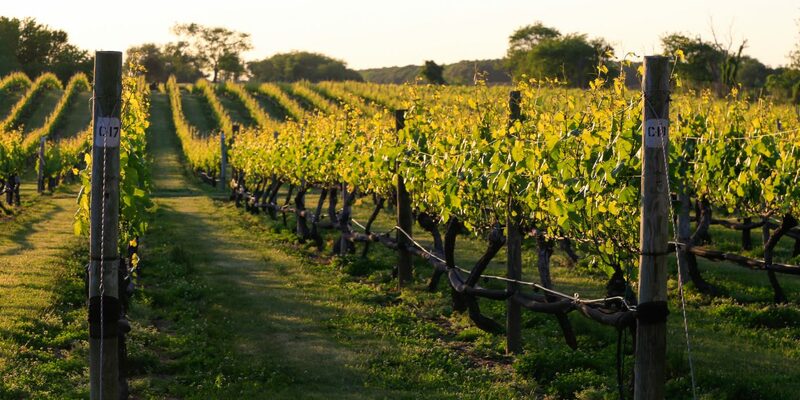 Long Island’s North Fork is the antidote to the Hamptons—a breezy, bucolic escape of rolling farmland and vineyards where quiet roads are lined with produce and flower stands, beaches never see more than a handful of visitors, and the food and wine scenes are among America’s best. 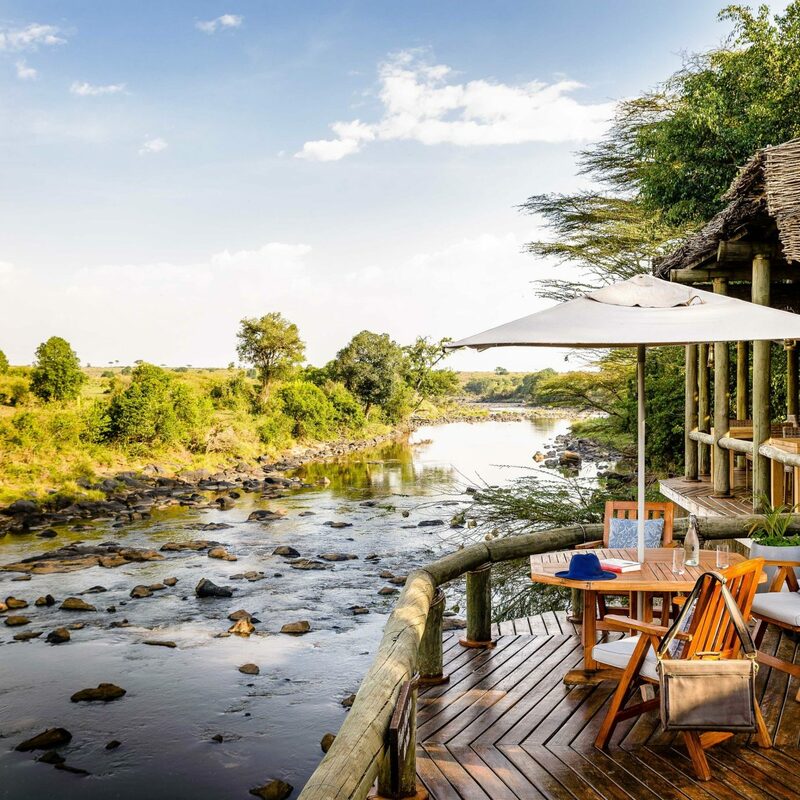 If your perfect vacation involves swapping full-on resorts for 50s-era refurbished motels and filling hours between relaxing on the beach with serious antiquing and more than a few wine tastings, it’s time to skip the South Fork. 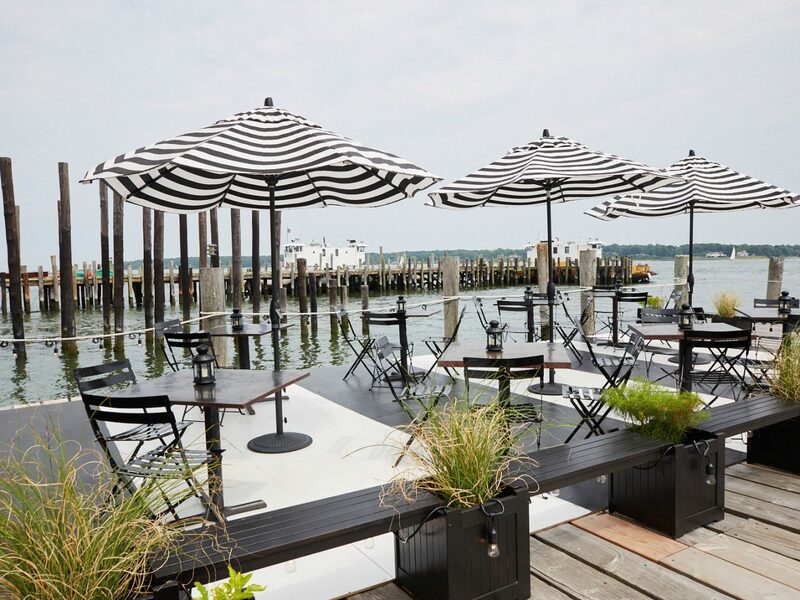 From Greenport to Southold, here’s where to eat, stay, and play this summer. 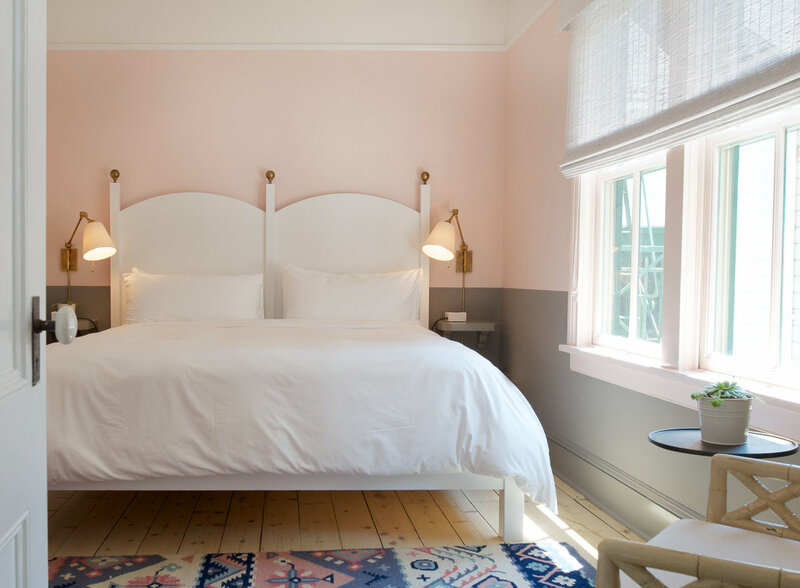 Hoteliers Kevin O’Shea and David Bowd, the hip design duo behind P-Town’s award-winning Salt House Inn, continue their reinvention of the B&B with this 1800s building turned instant classic on windswept Shelter Island. 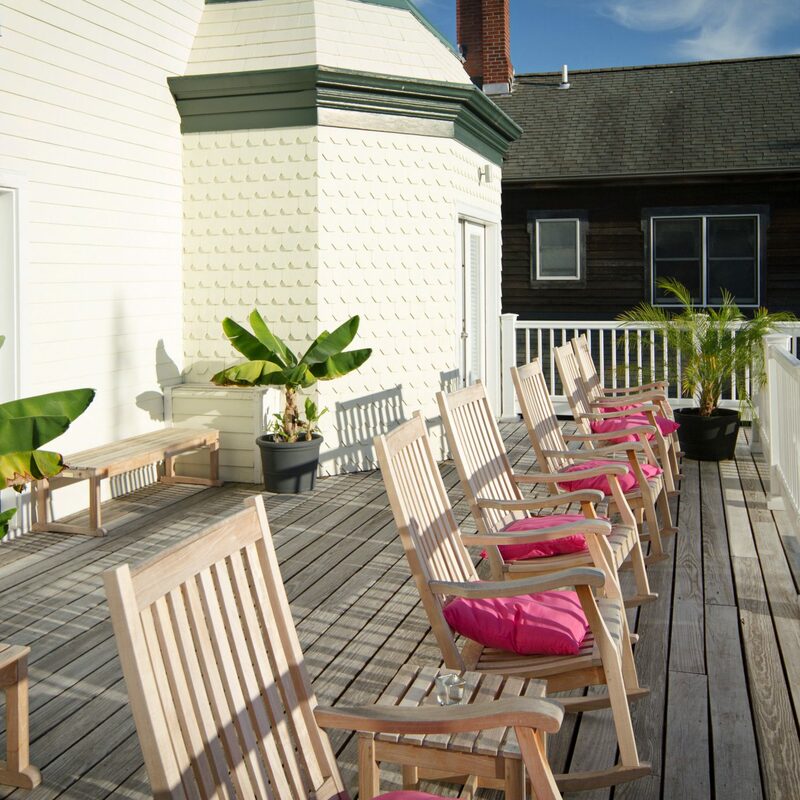 The look is an elevated take on your family beach cottage: think hardwood floors, white feather beds, tribal print rugs, clawfoot tubs, and charming sea views from its 37 shabby-chic guest rooms, which are spread out between a whitewashed main house and two outlying cottages. 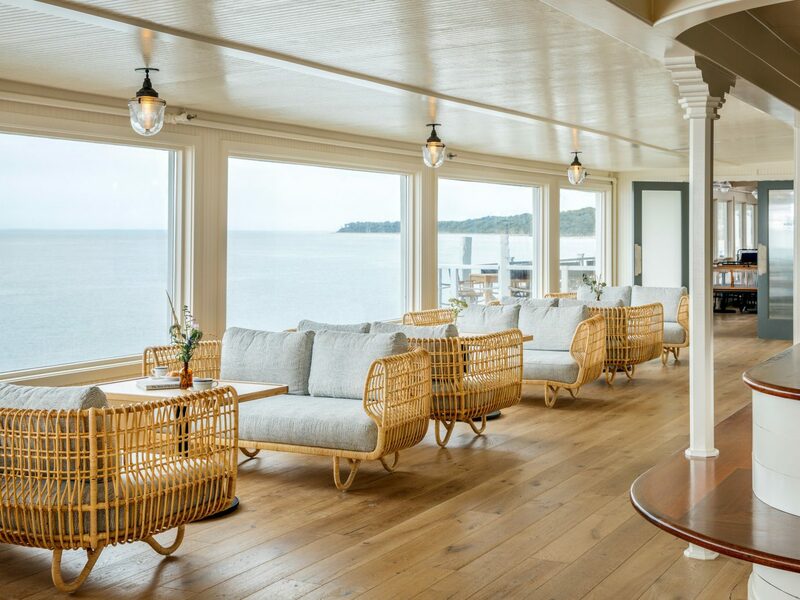 After enjoying a drink on the ocean-facing porch, stop into the New American restaurant, where everything from the frittatas to the wood-fired pizzas was locally and seasonally sourced and made in-house. 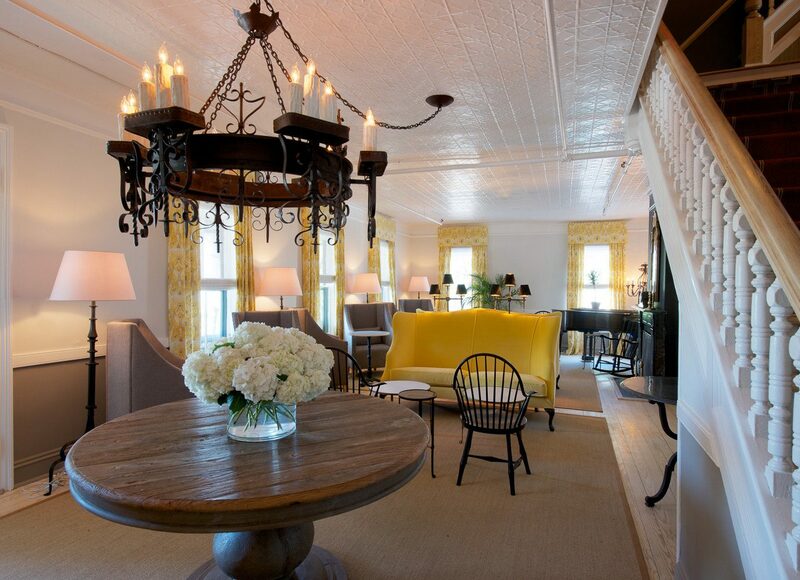 This former waterfront motel has been given new life as a retro-cool boutique, with all the trimmings and trappings worthy of its breezy Greenport address. A sense of nostalgia is still alive—you’ll find the motel's old piano in the red-booth–lined bar as well as a blond-wood lobby—but everything else has been artfully revamped courtesy of Brooklyn design firm Studio Tack. 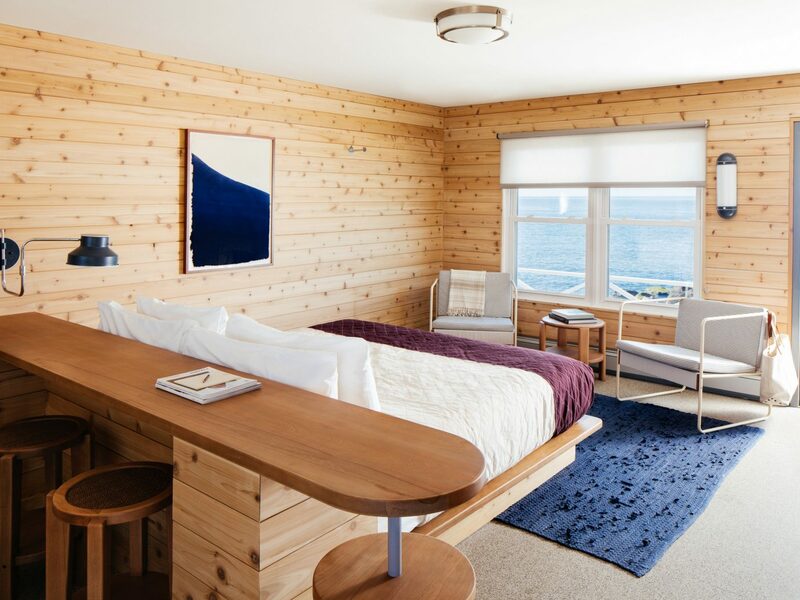 The 55 guest rooms feature knotted blankets, untreated cedar walls, midcentury furniture, and nautical palettes of navy and maroon. 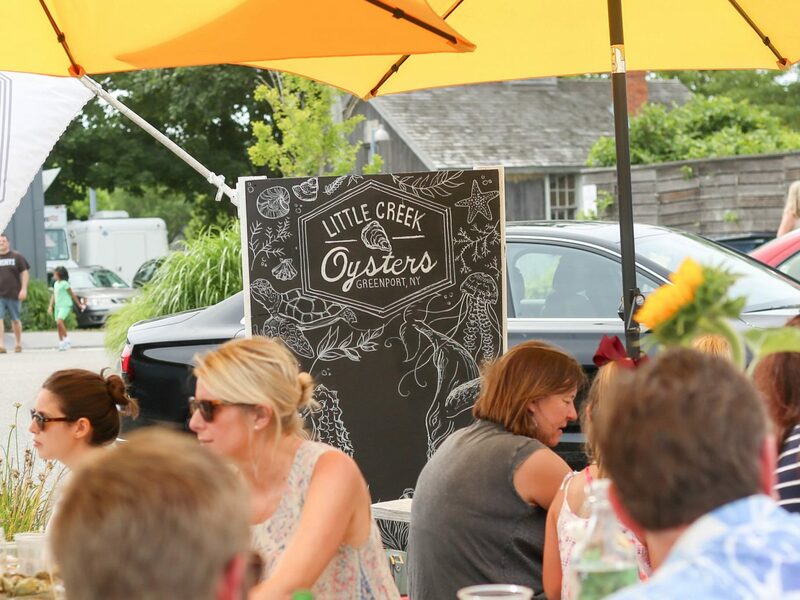 The Halyard churns out seafood classics like lobster sliders and oysters plucked from Little Peconic Bay. And the quarter-mile private beach, where guests can meet for paddle-board excursions and painting classes, is as beautiful as it gets. 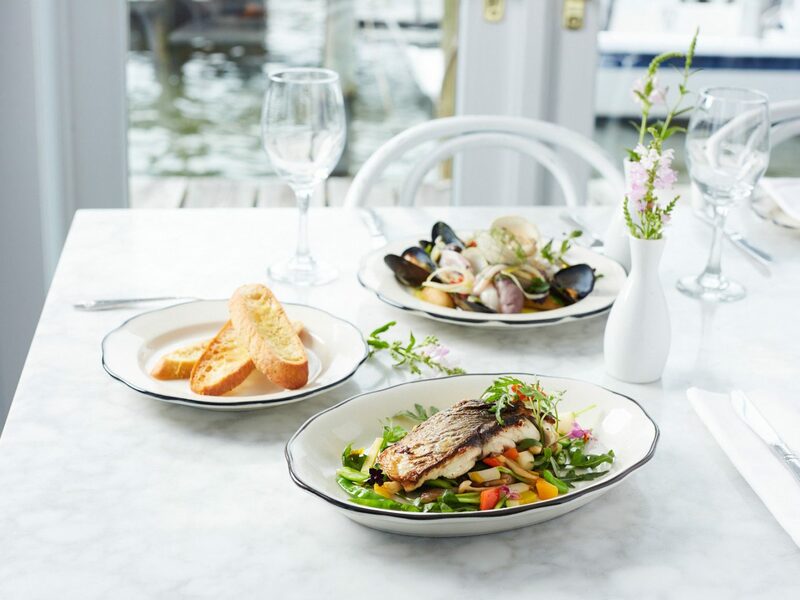 If your Greenport plans include chowing down on seared Peconic Bay scallops or buttermilk fried chicken at 19th-century stable turned farm-to-table restaurant American Beech, you might as well stay the night. Just six guest rooms echo the restaurant’s coastal vibes—we're talking nautical gray stripes, rope detailing, gabled ceilings, and painted wood floors along with more modern pieces like metal-frame beds and tree-trunk stools that recall driftwood. 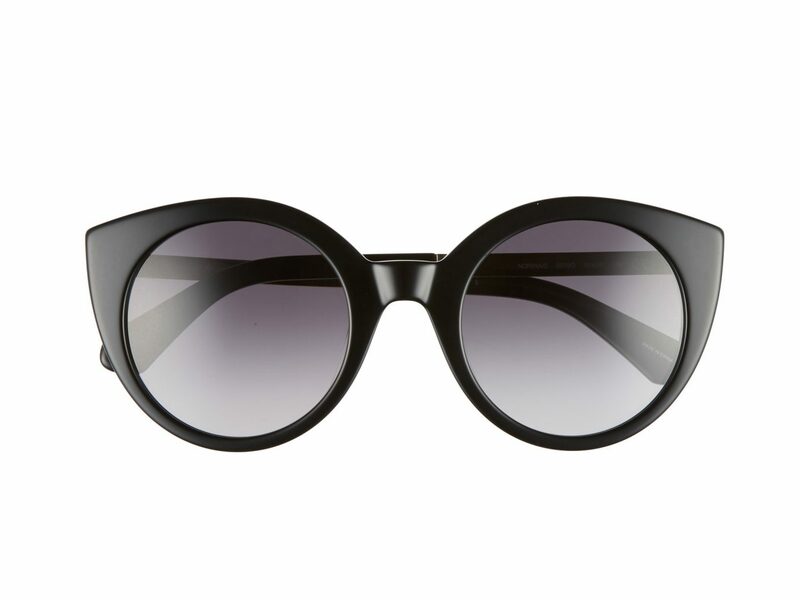 Looking to dress the part? Stop by the lobby boutique for curated summer outfits and beachy home décor. 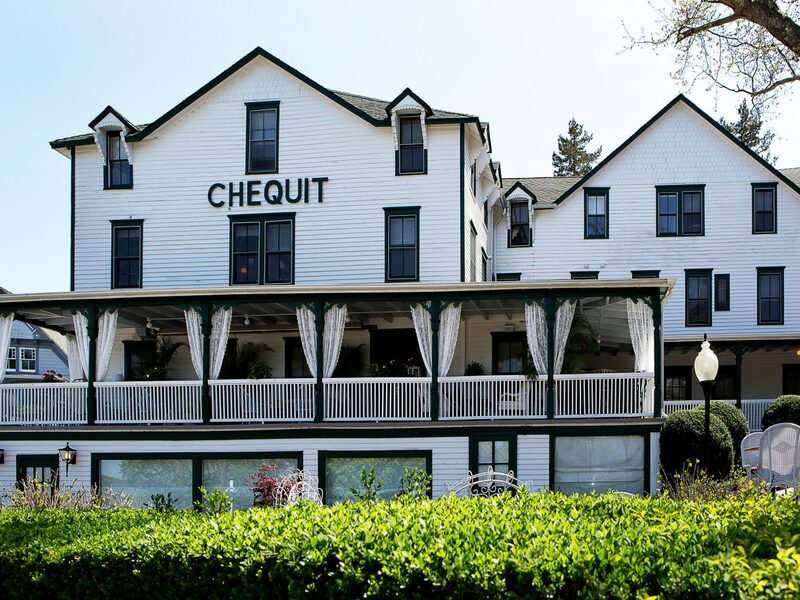 Two New York City expats opened this cozy, country inn and restaurant in 2006, and the Southold dining scene has never been the same. 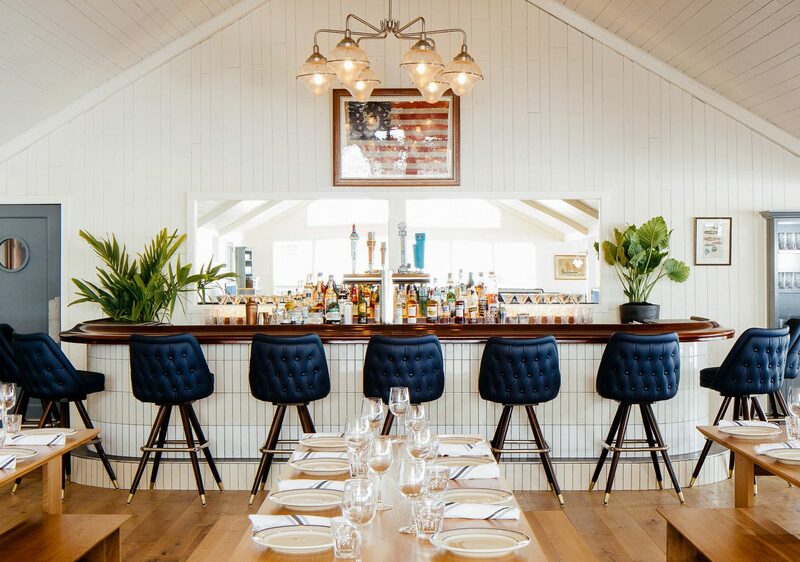 Beneath low ceilings and wainscoting, a simple but elegant dining room sets the stage for an equally refined prix fixe menu that draws from the farm and the sea. On any given day, you might spot fluke sashimi and gulf shrimp gazpacho on the menu beside Hudson Valley foie gras, lamb orecchiette with sheep’s-milk ricotta, and upside-down peach-raspberry cobbler. 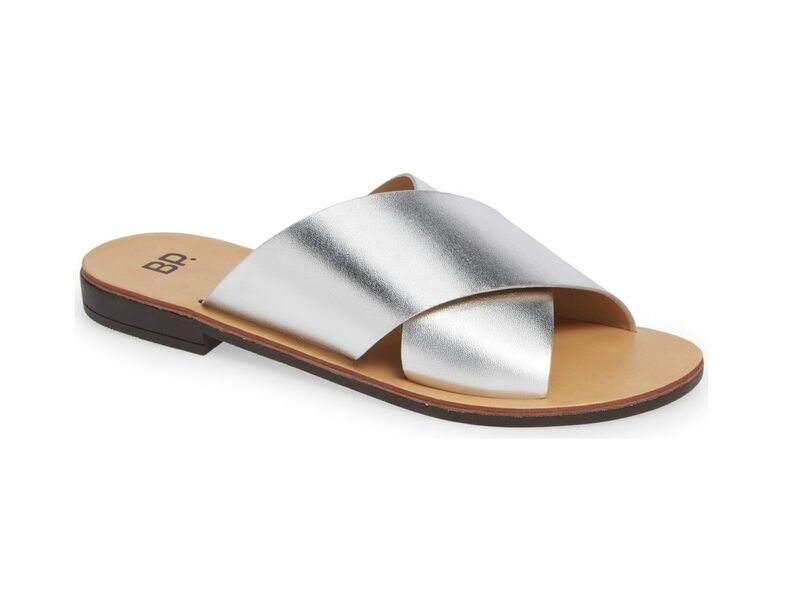 Looking for something a little more casual? Line up at their on-site food truck for hot dogs and Berkshire pulled pork. Chef Frank DeCarlo, behind New York Italian restaurants Peasant and Bacaro, has taken his talents to Greenport. At its core, Barba Bianca is an homage to fishermen, from the name (which refers to their salty white beards) to the menu—a seasonal, seafood-centric assortment of pastas (blue crab spaghetti; clam fregola) whose ingredients are sourced almost exclusively from Southold farms. 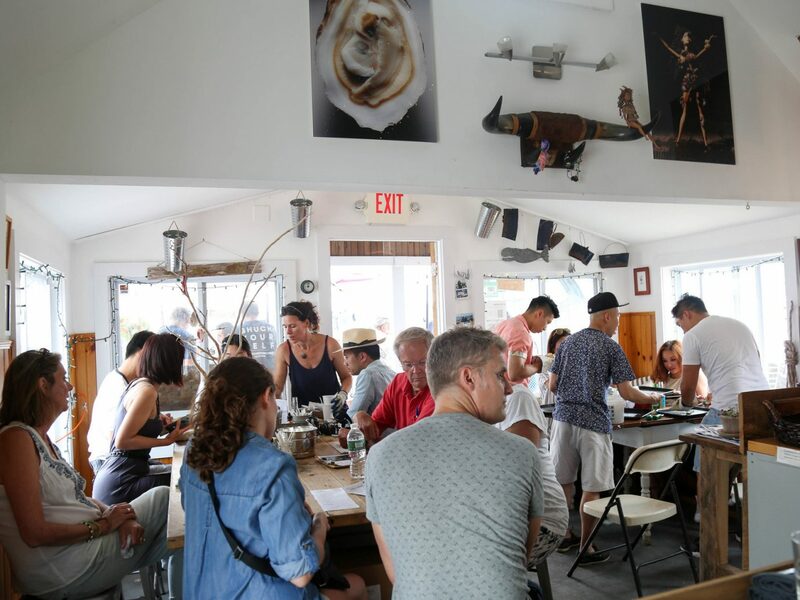 The atmosphere is equally transportive: the repurposed coal shack fronting the harbor is now minimalist and white, save for nostalgic photos of wrinkled anglers hanging between tables. 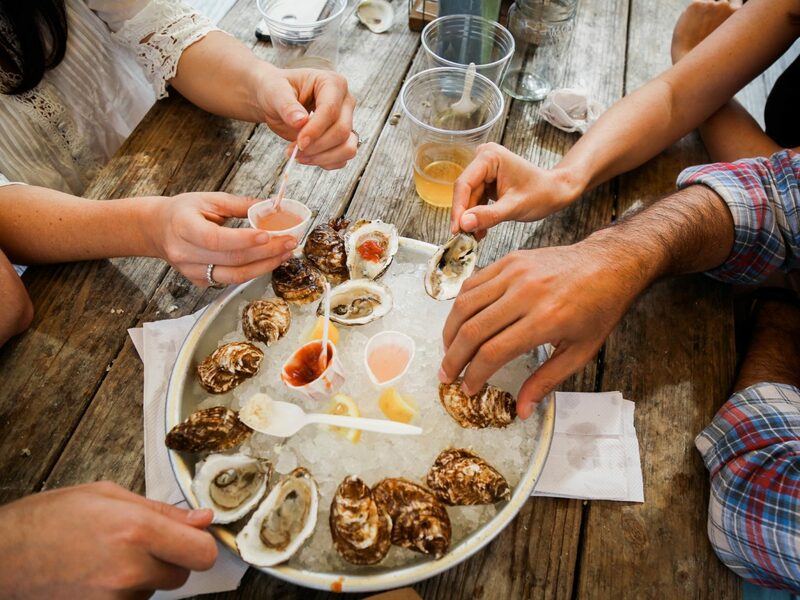 Friends, families, dates—no matter who you bring here, oyster lovers are guaranteed to have a great time. 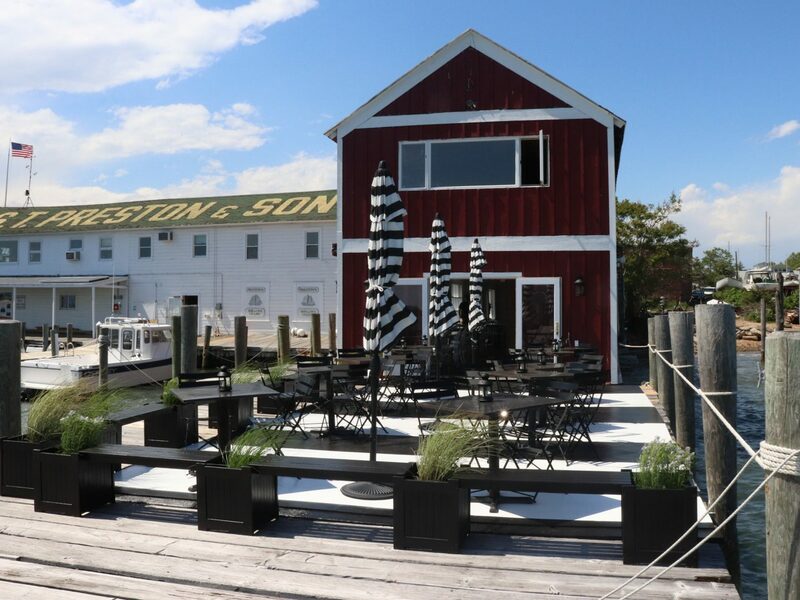 What this nautical dockside hangout lacks for in size it makes up for in sheer character: produce (for dishes like crab rolls and smoked scallop chowders) is from individual harvesters and farmers, and you save half your money should you choose to shuck the oysters yourself. (And you totally should.) The slogan “Shuck Your Self” is part of the gag. 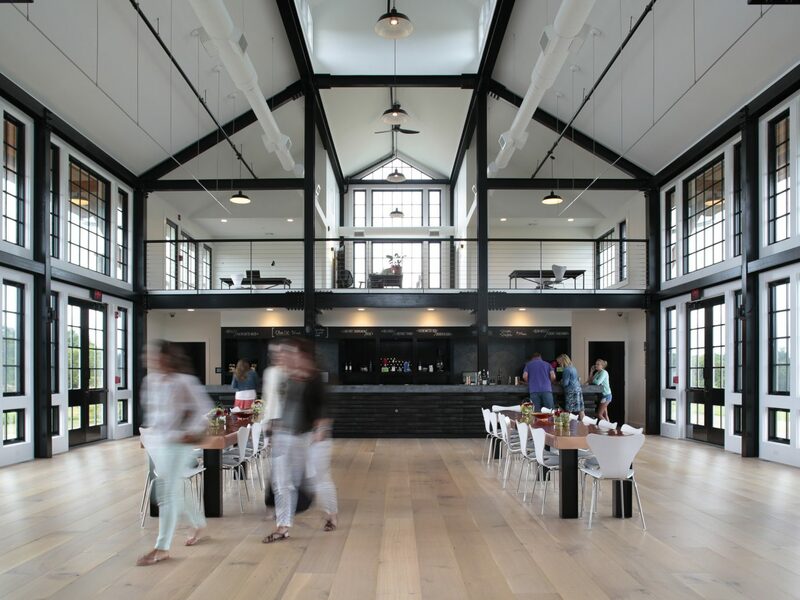 What began as a simple bakery for biscuits and granola has become a full-fledged dining destination, putting the small, sleepy hamlet of Jamesport on the North Fork’s culinary map. Brooklyn transplant Marissa Drago’s love for comfort food shines in her buttery, maple-flavored baked goods and breakfast classics, which range from egg sandwiches and Benedicts to steel-cut grits, hash, pancakes, and oyster frys. Can’t score a seat for breakfast? Lunch and dinner is also served (where you can expect equally down-home dishes like fried chicken, mac-and-cheese, crab cakes, grass-fed burgers, and po'boys). The finishing touches on your New England farmhouse are just a checkout away at this pretty little boutique in Southold, a one-stop shop for all things country home. Milk jars, wire baskets, European linens, hand-made white ceramics, straw tote bags, salvaged farm tables—you name it, and owner (and interior designer) Lori Guyer probably has it stocked somewhere among the shop's countless shelves, benches, and bookcases. Greenport is riddled with antiques shops. Our current favorite: Beall & Bell, whose airy space inside an old, warehouse-like Masonic temple allows ample room for an assortment of unique finds. On any given visit, you might come across vintage pine tables, Art Deco mirrors, framed prints, model sailboats, and all amounts of upholstered French chairs and oversize English vases. Bonus: Greenport Farmers Market is just steps away—a perfect spot to refuel on meats and cheeses after an afternoon spent perusing. 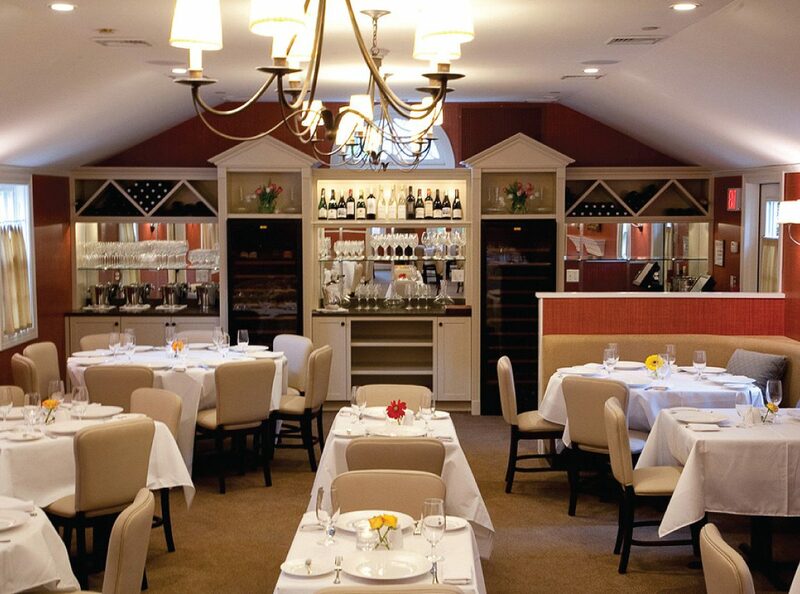 Satiate your sweet tooth at this award-winning chocolatier in Aquebogue, overseen by James Beard Award-nominated chef Steven Biscari-Amaral. But don’t expect to find your treats pre-packaged: the tasting bar of their “small-batch” artisanal Belgian chocolates allows for custom assembly (so you’re never disappointed by a flavor). Also on the menu: homemade fudge, chocolate barks, and seasonal ice cream made with cow’s milk from Aquebogue’s own Goodale Farms. 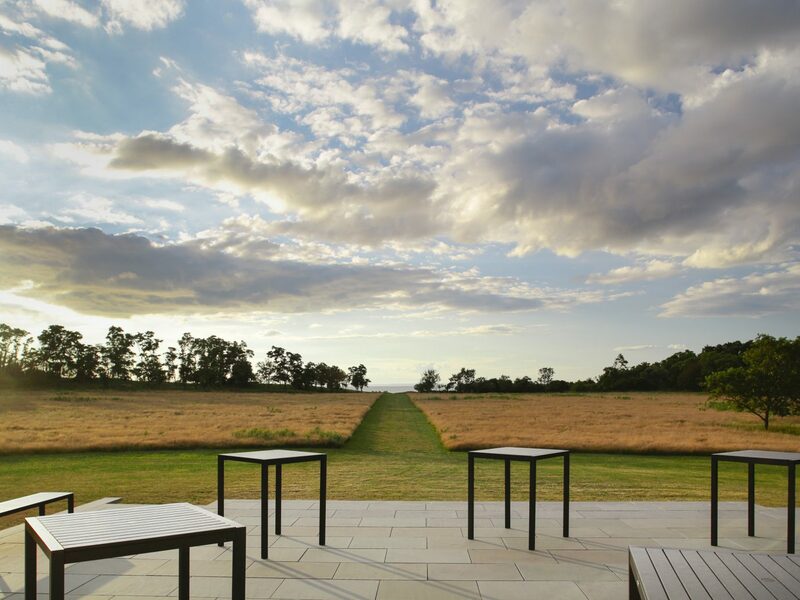 Kontokosta’s perch on a cliff overlooking Long Island Sound makes it North Fork’s only tasting room with a water view—but there’s so many more reasons to come here besides those staggering vistas. 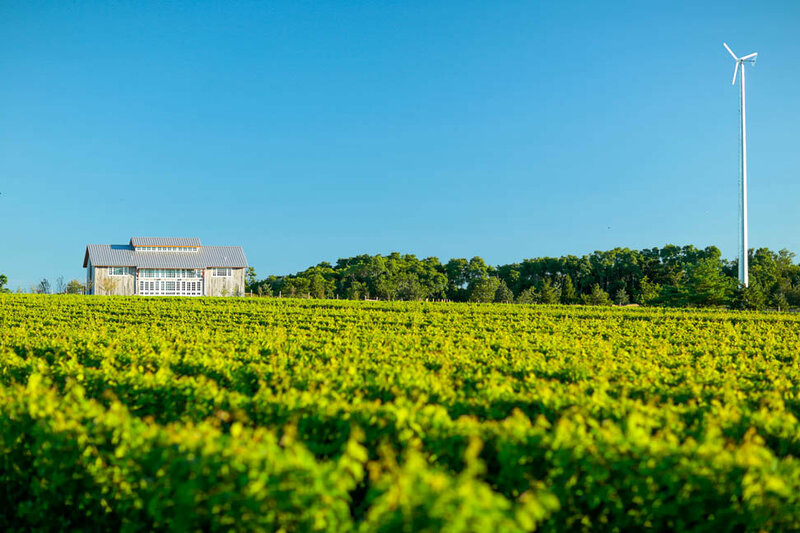 The 62-acre property produces a score of award-winning wines, including an impressive Cab Sav and Syrah as well as a dry Riesling, sauvignon blanc, and merlot. Taste them all in the 9,000-square-food tasting room, built to look like an industrial barn with exposed steel beams, copped-topped tables, and weathered wood everywhere. Want to travel to Provence for a day? You’ll feel like you’re frolicking in Aix-en-Provence at Lavender by the Bay, a family-owned farm in East Marion known for housing one of the largest lavender swaths in America. Across 17 acres, you’ll find more than 20 varieties of the fragrant purple bloom, along with a charming shop where you can pick up everything from lavender-scented pillow mists to bar soaps and essential oils. The only caveat: blooming seasons are short, so be sure to check their Facebook page before scheduling a visit. 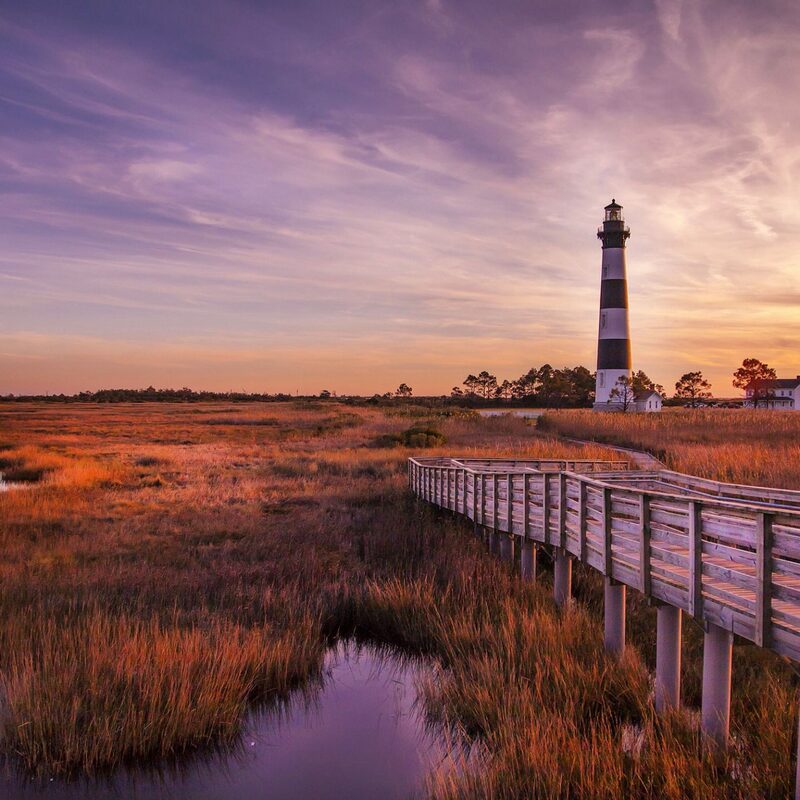 To take in the full natural splendor of the North Fork, make a beeline for Orient Beach State Park. This sandy strip at region's eastern tip is an outdoor-lover’s paradise: you’ll find everything from hiking and biking trails to untouched beaches and calm waters perfect for swimming and kayaking to the Orient Point Lighthouse. Pack a picnic lunch—there are plenty of tables and lawns to spread out for an afternoon in the sun. Afternoons outdoors beg for breezy one-pieces and simple slip-ons.